In a recent blog post on Harvard Business Review we discuss one of these frequent situations in which business model innovation is necessary to bring technological innovation to life. In case you missed it, the 2012 World Food Prize went to Daniel Hillel, an Israeli scientist who, in his own words, “…helped to develop the principle of shifting from low-frequency, high-volume irrigation to high-frequency, low-volume irrigation”, the system known as drip irrigation. Irrigation is a big deal in many countries: in just the last 50 years, the world population has doubled and irrigation water is increasingly becoming a critical constraint in many parts of the world. Study after study has shown that improved irrigation systems like drip irrigation can set in motion a new dynamic of development that has the potential to change the face of these regions, relieving vast numbers from the vicious cycle of poverty, insecurity and underdevelopment. But drip irrigation is not a new technology, it has been around for over 120 years, and many companies have developed and marketed it. So why are we celebrating drip irrigation only now? The answer is because it’s only recently that the technology has begun to catch on, thanks to a business innovation by an Israeli company, Netafim. Netafim now controls over one-third of the market for this seemingly commoditized micro-irrigation equipment market. What is Netafim’s secret? Like many of its competitors, Netafim invested in R&D to produce improved products. 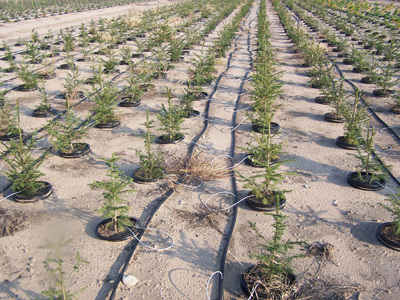 In the 90’s it introduced modern electronic control technology, including sophisticated se nsor arrays that help fine-tune water application to respond to water content, salinity, fertilizer and meteorological data. By Netafim’s measures, such a contemporary drip irrigation system increases crop yields by 300-500% and is a very lucrative investment. But despite these exceptional economics, the system simply didn’t catch on. The reason is a problem common to almost all new technology adoptions. The developer of the new technology has the best information on the performance of the technology and on the benefits it could deliver to the adopter. But the incentives of the adopter and the technology developer are typically not aligned: while the technology developer has all the incentive to sell as many units as possible, the adopter would only like to make investments with the highest rates of return. 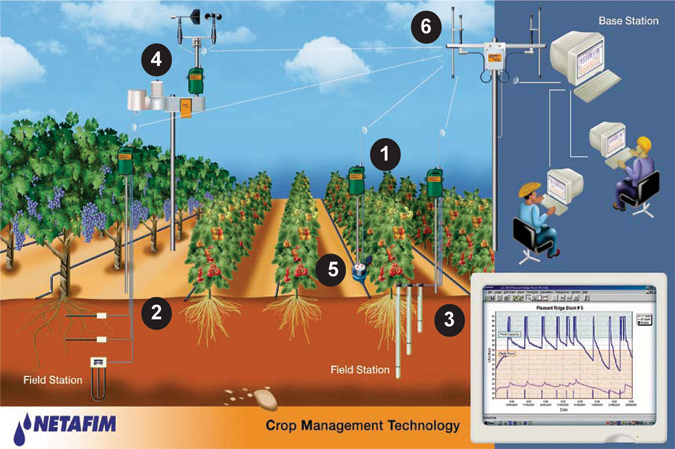 To achieve this alignment and to reduce risks for the farmers, Netafim started providing a new offering, called IrriWise Crop Management System. IrriWise was an integrated proposition that included the system design, all the required hardware, installation and regular service of the system. Most importantly, farmers often did not have to buy the system. The system would be installed at Netafim’s expense (essentially costs would be reallocated to Netafim), but Netafim would get a further payment tied directly to the increase in crop yields. With more skin in the crop-yields game, Netafim was now incentivized to modify service, adapt and maintain the equipment, to get the best possible outcome. Netafim went so far as to change into mission statement from “making the best drip irrigation equipment for customers” to “helping the world grow more with less”, an objective far more aligned with the objectives of its customers, the farmers. This allowed it to dramatically grow revenues, increasing its market share, all while making a life-changing impact on some of the most impoverished of the world’s citizens. But why is Netafim willing to take on this risk of installing equipment and being compensated later for crop yields? Counter-intuitively, increasing risk exposure is to Netafim’s advantage and actually makes everyone better off. First, given Netafim’s expertise and access to the latest forecasting technologies, the risk is a lot smaller in Netafim’s eyes than it is for the farmers. Secondly, Netafim is much better able to manage this risk: given its size and diverse market base, the risk has much lower chances of catastrophic losses for Netafim than for a farmer. Netafim can now share some of these benefits from the more efficient risk bearing in the new model with the farmers. This helps Netafim increase its sales and, in fact, even improve the risk-return calculus of the farmers. As we argue in our recent HBR article and on our blog, to really get your new technology off the ground you’ll have to look at innovating your business model as well.